March is a big month for sowing seeds. Except in the very coldest areas, you should now be able to sow hardy crops such as leeks, parsnips, peas, spinach, and brassicas direct outside, although they may need protecting under cloches. If you have space, sow seeds indoors, too. Tender crops such as aubergines, peppers, and tomatoes can be raised inside or in a heated greenhouse. This gives them time to develop before being planted out when it’s warm enough. March is your last chance for planting new, bare-rooted apple and pear trees, blueberries, raspberries, blackberries, and hybrid berries, as well as gooseberry and currant bushes. By April it will be too late for any but container-grown plants. 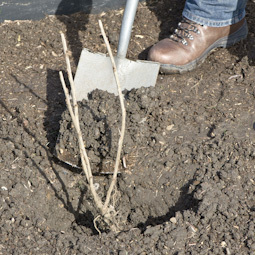 Plant bare-rooted currant bushes this month, while they are still dormant. March is almost certainly your last chance to plant garlic for harvesting this year. Towards the end of the month, sow seeds of herbs such as chives, coriander, dill, fennel, oregano, and parsley that can tolerate low temperatures, but cover with fleece at night if frost is forecast. In addition, begin planting out any young, ready-to-plant specimens of hardy herbs you’ve bought from garden centres or nurseries – mint, rosemary, and thyme, for example. Sow lettuce seed either indoors or outdoors, under cover if necessary. 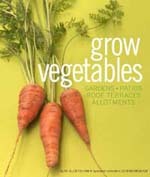 Sow spring onions, radishes, salad mixes, rocket, summer purslane, and Oriental leaves under cloches or in cold frames. It’s still possible to sow onion seeds outdoors, but both onions and shallots are better grown from commercially produced “sets”. Shallot sets can be planted in February or March, onion sets in March or April. Sow both pea and broad bean seeds outdoors, protecting them with cloches if the weather is still cold. It’s possible to grow asparagus from seed but much easier to buy ready-to-plant rootstocks known as “crowns”. 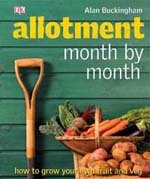 Plant them in pre-prepared trenches this month or next. This month sow Brussels sprouts indoors, and sow sprouting broccoli and summer, autumn or red cabbages either indoors or out if it’s not too cold. Early summer cauliflowers raised from seed indoors can probably be planted out, but may still need protection under cloches. If you started chitting a batch of first early potatoes at the start of the year, and if the ground is not still frozen, you should be able to plant them now. Dig a shallow drill about 15cm (6in) deep and lay your seed potatoes in it at intervals of 30cm (12in). Make sure the “chits” or shoots are pointing upwards. Carrots and turnips can be sown outdoors but will still need cloches or cold frames. Celery, celeriac, kohl rabi, and Florence fennel are not so hardy and if you sow seeds now you should keep them indoors or in a heated greenhouse. 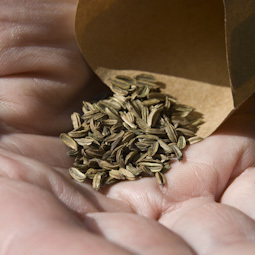 Sow Florence fennel seeds indoors in pots or modules. They need a minimum temperature of 15ºC (59ºF) in order to germinate. Plant out ready-bought, cold-stored runners, as soon as they become available; they will crop in their first year. 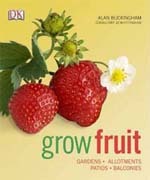 These are all summer fruiting vegetables that originate in hot climates and therefore need as long to ripen as possible. Get ahead by sowing seeds indoors this month. Plants eventually intended for growing outdoors can be started off from seeds sown indoors at the end of the month – but no earlier or they’ll get too large and become pot-bound before it’s warm enough to plant them out in late May or June. Mustards are easy plants to grow and young leaves sown now will be ready to harvest as a cut-and-come-again salad crop in about four to five weeks’ time.